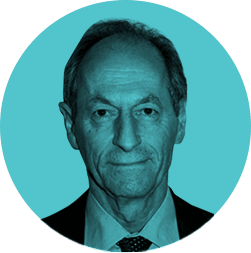 Institute of Health Equity - Michael Marmot: "In Sweden we don't do VIP..."
"In Sweden we don't do VIP..."
But they do a lot else. Perhaps no trappings, but I have no complaints. What they showed me was gift enough. Goteborg is the third of the three Swedish cities/regions – the others are Malmo and Linkoping – that are doing reviews of social determinants of health. Or, as they put it, Swedish Marmot Reviews. It felt like we were having a conversation. Another said that they had recently been to Birmingham on a fact-finding mission, having heard me say, a few years ago, how Birmingham (England) narrowed the gap in early child development between Birmingham and the English average. They were told in Birmingham that the special programmes on Early Child Development were no longer being supported. Disappointing. The leitmotif of this Goteborg activity is inclusion: 1100 people, mainly employees of the City of Goteborg, came to this conference on socially sustainable Goteborg. I have been to meetings of various kinds in London, but never 1100 people engaging with how to make London a more sustainable place. Per capita, to match Goteborg, such a London meeting would have to have been 11,000. The day after my visit, 400 of these 1100 were to sit down to work together to plan a more socially sustainable Goteborg, with health equity and sustainable development at its heart. One of the gifts they gave me was to take me on a quick trip of the city, accompanied by three expert employees of the city. Slightly uncomfortably, I was fitted with a microphone and accompanied by a cameraman. They wanted to capture my reactions (not including post prandial afternoon drowsiness, I hope.) Goteborg “boasts” a nine year gap in life expectancy between small areas. What might that look like on the ground? What I didn’t “see”, but they told me, is that 22% of the population is foreign born, with another 13% or so children of migrants. Sweden had a programme to build a million new homes in the 1960s. In Goteborg, some of these were built in outlying communities that are rather cut off from the city. They are heavily populated by immigrants. These are ‘slums’ done by the Swedes. Apparently well-built, rather neat, five or so storey-blocks of flats, landscaped, no graffiti, no broken glass, but soulless and isolated, cut off from the Central City. Perhaps linked to this isolation, one of the questions I was asked at the conference was what might they be doing about the fact that the 1100 people attending, overwhelmingly, were white. My response was that I wouldn’t start from here. If immigrant communities were cut off from the main stream, geographically, it was perhaps no surprise that they were underrepresented socially. Even egalitarian Sweden has inequality issues with which they must grapple. But they are, grappling. Particularly, they liked our European slogan, which we adopted from Swedes: “Do something, do more, do better.” I think it highly likely they are going to do better. I was invited to come back in three years and see. Dear Sir Marmot; yes, Gothenburg is the most segregated city in Sweden. I served the City for 25 years, even in the Department of Public Health, and saw both beauty and ugliness. Now I live in Stockholm, my native town, and plan to do some work inspired from your book, The Status Syndrome, which I newly read. Inspiring. Happy New Year!